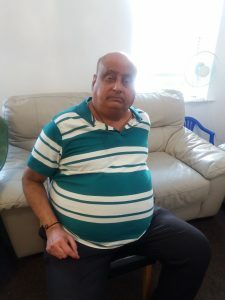 Late Kaushik Vrajpal Kanji Dodhia | Oshwal Association of the U.K. It is with deep regret that we announce the sad demise of Mr. Kaushik Vrajpal Kanji Dodhia of London/Surrey/Vasai, who passed away peacefully on Sunday, 5th August 2018. He was son to Vrajpal Kanji Dodhia (London) and late Amratben Vrajpal Kanji. He was the beloved husband of Madhuben Kaushik Shah. He was father-in-law to Reena Amar Shah and Pallavi Anand Shah. He was grand father to Amaya Anand Shah and Avni Anand Shah. He was brother to Maheshchandra Vrajpal Shah (Kenya), Navnit Vrajpal Shah (London), Sunil Vrajpal Shah (Wellingborough), Sheela Mahesh Shah (India), Naina Suresh Savla (London). He was brother-in-law to Kokila Maheshchandra Shah, Jyoti Navnit Shah, Shital Sunil Shah, Mahesh Popatlal Shah, Suresh Hemraj Savla. Prayer meeting will be held from 8-10pm on Tuesday 7th August 2018 at St. Oswald Church, Green Lane, Norbury, London, SW16 3SB.